I've been crazy for boho outfit these days and now I think it's time to make my December outfit wishlist, okay, back to December all the time. After wear black too much(or never get enough of black) I decided to pick a colorful outfit, or white outfit. I know it's December and so much people made autumn outfit wishlist but again and again since I live in Indonesia, its summer all the time and gloomy day when it's rain. So I chose all the outfit from Yoins, since there's so many street style and boho clothes I think it's suits me well. And don't worry, fo the most, it's almost below than $26. You can check it on their website or click here for more outfit! So Hsppy December and happy shopping! 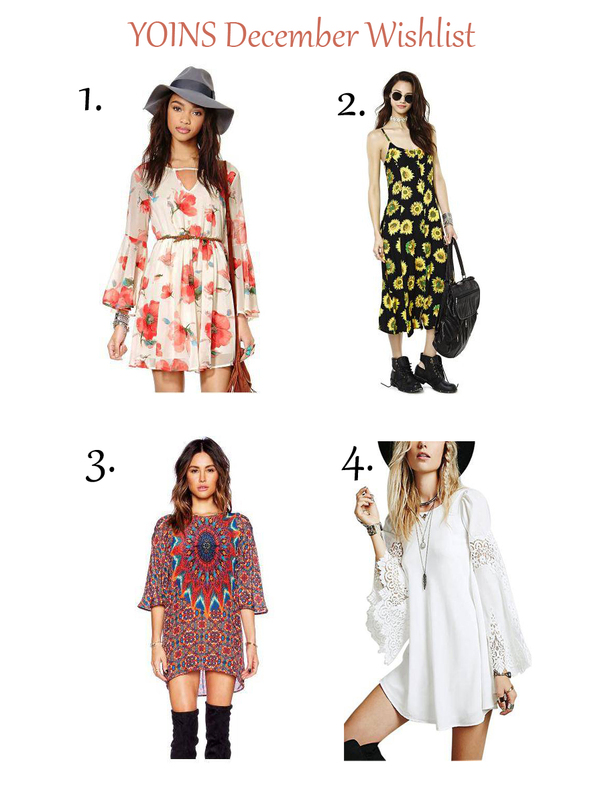 Love your boho chic look picks!